Each summer, car collectors gather in California for the Pebble Beach Concours D'Elegance, the world's most elite classic car show. The days leading up the big show, which takes place on Aug. 21 this year, are filled with a series of car-related events that have become known as Pebble Beach Car Week. The roads all around Monterey, Calif., are jammed with expensive and rare cars of the sort that, anyplace else, you'd see once in a lifetime or never at all. A number of those events are auctions. In the past, cars at Pebble Beach have sold for world record sums. Usually the cars offered for sale are well-preserved classics, but not always. 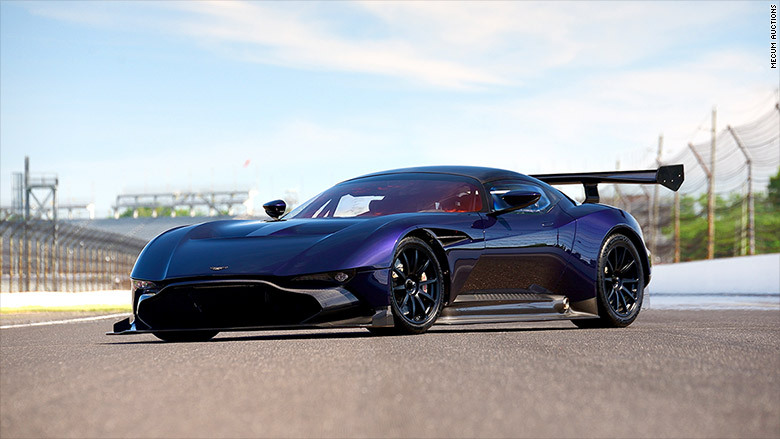 Case in point: Mecum Auctions is offering a rare Aston Martin Vulcan made just this year. It's one of just two dozen ever produced, but the new owner won't be able to drive it around. This is an 820-horsepower track-only supercar, so it's not street-legal.